If you are a US citizen and have not claimed back any tax refund for any period of time, check your name in the list of Internal Revenue Service (IRS). The department has tax claims worth billions of dollars pending for various reasons and you might be one of the luckiest who can win back some money at this time of economic crisis, which have affected almost all of us. Even if you are not sure if you have claimed back any tax refund or suspect your name might be there, it is better to explore the list. According to the IRS, they have hundreds of unclaimed checks with them. Many of them returned to the office because of change of postal contact details of the recipients. Hence, the department is prepared a list of unclaimed tax refunds and people who are eligible but have not claimed any tax benefit can claim back their money. The process is not that difficult if you follow the application process step by step. The Internal Revenue Service has issued a list of unclaimed tax refunds and details with name of tax payers who have not claimed back their due money. You can find your name in the list online to make sure you are included in it. 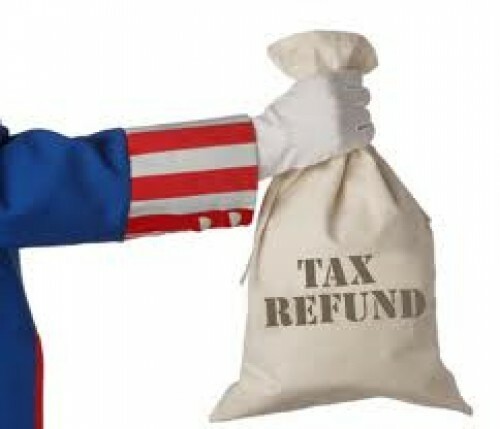 If you are sure you have not claimed any tax refund back over past a few years, your name will certainly be in the list. After you have found your name in the list, you can contact IRS online or through their helpline to confirm the department owe you a refund of any value. You can also explain your reasons for not being able to claim back the refund for a certain period of time. You can also ask about application processing details if your are not sure about it. To claim back your tax refund, you will need to fill out a 1040 form, which you can either download from IRS website or get it posted to your address. After filling out the form, you either post it to the IRS office or submit in person. If you have not updated your contact details on the IRS website, you will be required to provide them to the department. Be sure you give the address at which you expect to collect the refund checks as otherwise the check will be returned to the office undelivered. After submission of 1040 form you can check status of your claim application after seven working days. If you have submitted the form in person at IRS department, you should allow at least four working weeks to processing of your application.